We are delighted to announce that Professor Wei Min has been selected by the Analyst Editorial Board as the winner of the 2018 Analyst Emerging Investigator Lectureship! This Lectureship was launched to be a platform for an early career analytical scientist to raise the profile of the analytical sciences to the wider scientific community and general public. Dr Wei Min graduated from Peking University with a Bachelor’s degree in Chemistry in 2003. He received his Ph.D. from Harvard University in 2008, studying single-molecule biophysics with Professor Sunney Xie. After continuing his postdoctoral work in Professor Xie’s group, Dr Min joined the faculty of the Department of Chemistry at Columbia University in 2010. He was promoted to Full Professor there in 2017. He is also affiliated with the Kavli Institute for Brain Science and NeuroTechnology Center at Columbia University. Dr Min’s current research interests focus on developing novel optical spectroscopy and microscopy technology to address biomedical problems. In particular, his group has made important contributions to the development of stimulated Raman scattering (SRS) microscopy and its broad application in biomedical imaging including bioorthogonal chemical imaging of small molecules and super-multiplex vibrational imaging. 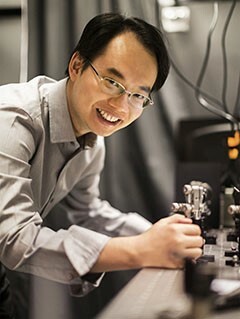 Dr Min’s work has been recognized by a number of honours, including: Coblentz Award of Molecular Spectroscopy (2017); the ACS Early Career Award in Experimental Physical Chemistry (2017); Buck-Whitney Award of American Chemical Society (2015); Camille Dreyfus Teacher-Scholar Award (2015); George Fraenkel Fund Award (2014); Alfred P. Sloan Research Fellowship (2013); NIH Director’s New Innovator Award (2012); and Faculty Finalist of Blavatnik Awards for Young Scientists of the New York Academy of Sciences (2012). The award will be presented to Dr Min at SciX 2018 in Atlanta, Georgia in October 2018, where Dr Min will be delivering his plenary lecture. Once again, we would like to extend our warmest congratulations to Dr Min on this well-deserved award. Analyst is delighted to announce the second Analyst Emerging Investigator Lectureship is open for nominations. The Analyst Emerging Investigator Lectureship is a platform for an early career analytical scientist to raise the profile of the analytical sciences to the wider scientific community and general public. 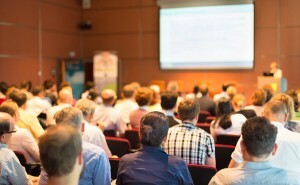 The recipient will receive up to £2000 contribution towards travel and accommodation costs to attend and present a lecture based on their research at a leading international meeting. Recipients will be invited to contribute a review to Analyst in the following year. A recommendation letter, including the name, contact details and website URL of the nominee. A one-page CV for the nominee, including their date of birth, summary of education and career, a list of up to five of their top independent publications, total numbers of publications. A one-page statement of achievement with a lay summary, written by the nominee describing their best accomplishments. A supporting letter of recommendation from an independent referee. Ideally this should not be someone from the same institution or the candidate’s post doc or PhD supervisor. The nominator and independent referee should comment on the candidate’s presenting skills. Incomplete nominations or those not adhering to the above requirements will not be considered. To be eligible for the lectureship candidates typically will be within 10 years of completing their PhD, but appropriate consideration will be given to those who have taken a career break or followed a different study path. The editorial team will screen each nomination for eligibility and draw up a shortlist of candidates based on the nomination documents provided. The recipient of the lectureship will then be selected by the Analyst Editorial Board. For any queries, please contact the editorial team at analyst-rsc@rsc.org. 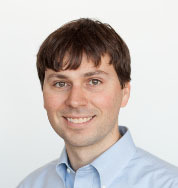 We are delighted to announce Patrick Hayes the winner of the inaugural Analyst Emerging Investigator Lectureship. The Editorial Board had a very difficult decision with so many exceptional and high quality submissions. Congratulations to Patrick! Patrick Hayes is Assistant Professor of the Atmospheric and Analytical Chemistry Group at the Université de Montréal since Summer 2013. He obtained his PhD in Analytical Chemistry at Northwestern University, USA. His postdoctoral CIRES fellowship was performed at the University of Colorado. His research group focusses on the chemistry of atmospheric aerosols and the study of fundamental chemical and physical interations occurring at solid/liquid interfaces important to the environment. He has more than 30 peer-reviewed publications, and has given more than 20 oral presentations, including 7 invited lectures. He has also served as a Member of the Board of Directors for the Environmental Division of the Chemical Institute of Canada. • An original essay of no more than 1000 words highlighting how advances in analytical science underpin developments in this year’s theme. Analytical science is central to tackling the global challenges which face society and the Analyst Emerging Investigator Lectureship has been developed to showcase the essential contribution of the analytical sciences in overcoming these challenges. Developments in areas such as climate change, energy, food, water and health are crucial for societies around the world to thrive. The science underpinning these advances cannot be achieved without the pioneering research being carried out by analytical scientists worldwide. The Analyst Emerging Investigator Lectureship will be a platform for an early career analytical scientist to raise the profile of the analytical sciences to the wider scientific community and general public. The recipient will receive up to £2000 contribution towards travel and accommodation costs to attend and present a lecture based on their research at a leading international meeting to be decided by the Chair of the Analyst Editorial Board. The recipients essay will also be published as a Perspective article in the journal. To be considered for the Analyst Emerging Investigator Lectureship, candidates must submit an original essay of no more than 1000 words which calls attention to the significant and wide-reaching impact on scientific and societal issues related to this year’s theme in the analytical sciences. The theme for the first lectureship is health. This broad topic will be open to all disciplines from across the analytical sciences and in line with the wider aims of the lectureship highlight how advances in analytical science underpin developments in issues of global concern. 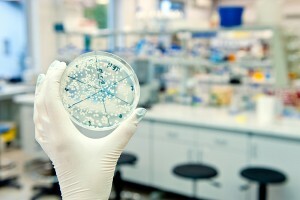 Essays must effectively and concisely convey the importance of analytical science in health related research, for example new innovations in optical sensors, imaging agents, microfluidic technologies, diagnostic tools, bioimaging techniques, affinity agents, body fluid, tissue and cell based assays and disease monitoring and management systems to name just a few. The emphasis of the essay will need to be on the importance of analytical science in relation to advances in any health related subject. • To be eligible for the lectureship candidates must be at an early stage of their independent career. Typically this will be within 10 years of completing their PhD, but appropriate consideration will be given to those who have taken a career break or followed a different study path. • The essay must be no more than 1000 words and succinctly express the importance of the fundamental developments in analytical science which relate to this year’s theme. The aim of the lectureship is to raise the profile and wider awareness of the analytical sciences, candidates should keep this in mind when writing their essay. • The essays will be judged by the Analyst Editorial Board and the recipient will be selected based on the originality and quality of their essay. The recipients essay will be published as a Perspective article in Analyst; as such the work should not look out of place in the journal. Please see the website for more details on the usual scope and standards of Analyst as well as further details of the Editorial Board who will be selecting the lectureship winner www.rsc.org/analyst.